Help Put On the Wooden Boat Rendezvous in August! 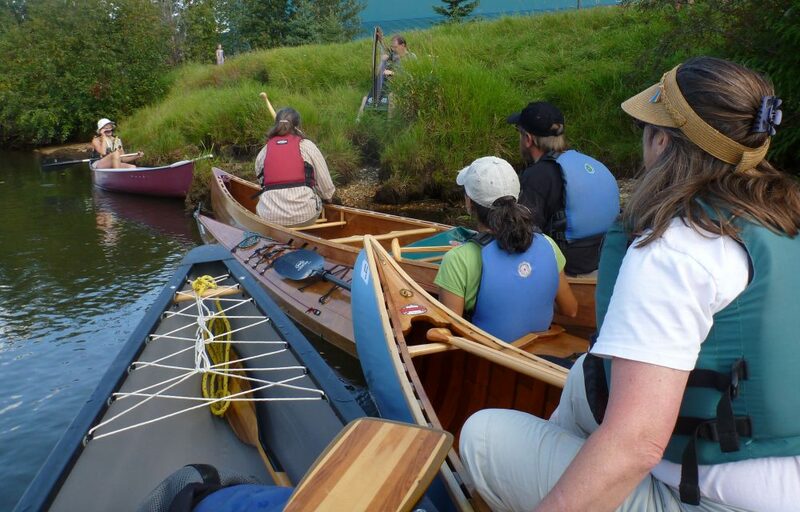 On Sunday, August 4, 2019, in partnership with Fairbanks Paddlers, The Folk School is pleased to bring back the Paddlers’ Wooden Boat Rendezvous. This is an event that the Paddlers hosted until a few years ago, and we’re pleased to be working with them to make it happen again. You can find the emerging details on the Wooden Boat Rendezvous event page. It’s the perfect partnership: The Folk School helps people learn how to build boats, and the Paddlers, well, paddle them. Any kind of non-motorized boat is welcome to participate, whether it is wooden or you built it, or not. It’s the perfect event to show off your boat, including for those of you who have been building pack rafts. None of these have to be huge, time-consuming tasks, and you’re welcome to solicit help and delegate responsibilities to lighten the load. We have some broad outlines of what each of these will entail, so let us know if you have any questions. Email programs@folk.school and let’s make this happen! The Folk School is looking for a volunteer who has curious hands, and good writing and photography skills, to help us document some craft projects we’ll be featuring at The Folk School Store this summer. The successful candidate will be passionate about The Folk School’s mission of sharing the joy of hands on learning. We seek an individual who is organized, conscientious, will interact well with the public, and have experience with or a willingness to learn about the proper use of power tools. Position will also require basic computer literacy. Retail experience preferred, and a background check is required. Work schedules of up to 40 hours per week are available. Salary will be $10-12/hour depending on experience and familiarity with The Folk School. To apply, please send cover letter, resume, and references to operations@folk.school.